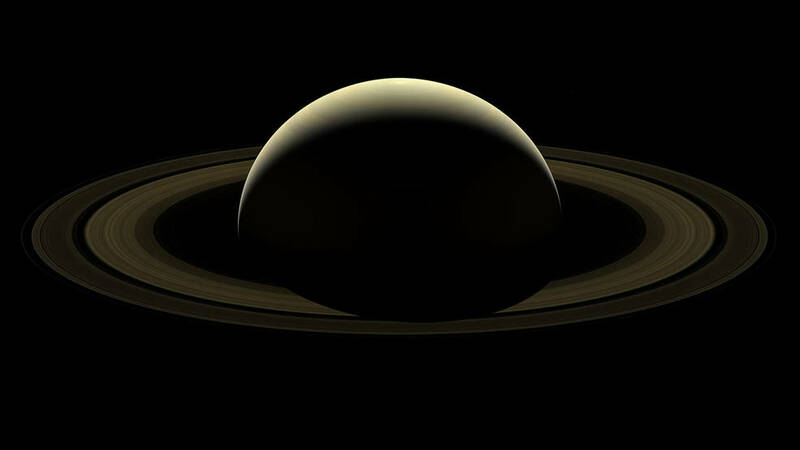 November 21, 2017 – In a fitting farewell to the planet that had been its home for over 13 years, the Cassini spacecraft took one last, lingering look at Saturn and its splendid rings during the final leg of its journey and snapped a series of images that has been assembled into a new mosaic. Cassini’s wide-angle camera acquired 42 red, green and blue images, covering the planet and its main rings from one end to the other, on September 13, 2017. Imaging scientists stitched these frames together to make a natural color view. The scene also includes the moons Prometheus, Pandora, Janus, Epimetheus, Mimas and Enceladus. Launched in 1997, the Cassini spacecraft orbited Saturn from 2004 to 2017. The mission made numerous dramatic discoveries, including the surprising geologic activity on Saturn’s moon Enceladus and liquid methane seas on Saturn’s largest moon, Titan. Cassini ended its journey with a dramatic plunge into Saturn’s atmosphere on September 15, 2017, returning unique science data until it lost contact with Earth.